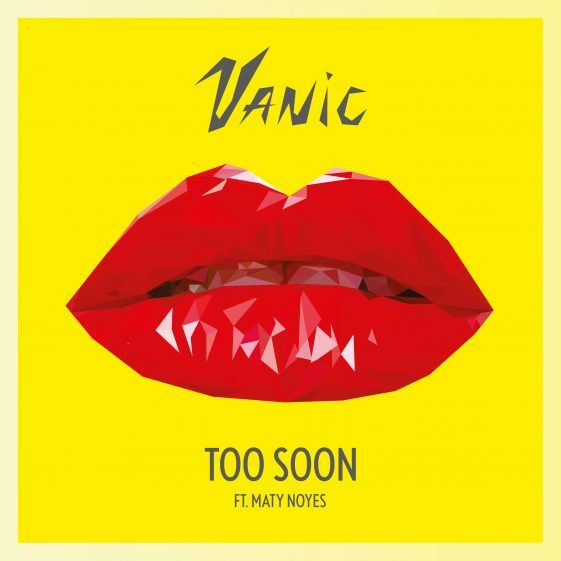 (New York, New York) – Canadian DJ / producer Vanic releases “Too Soon” ft. Maty Noyes today at all digital providers via Disruptor Records / Gold’N Retriever / RCA Records (Click Here To Listen). The track was produced by Jesse Hughes (Vanic) and written by Hughes, Bonnie McKee (Katy Perry, Britney Spears), Tommy English (BØRNS, Ladyhawke) and Maty Noyes. Vanic will be hitting the road this summer to play major festivals such as Bonnaroo Music & Arts Festival, Shaky Beats Music Festival and more to be announced. He will also return home to Vancouver, BC to play Celebrities on February 24th and plays Beta Nightclub in Denver, CO tonight. Born and raised in Vancouver, Vanic achieved breakout success with his 2014 take on machineheart’s “Circles,” which earned over 1 million SoundCloud plays within a week. Since then, his music has over 80 million collective plays and 21 #1’s on Hype Machine. He has remixed recordings for artists including Tayler Swift, The Chainsmokers, Major Lazer, Tove Styrke, Lana Del Ray, Chvrches and more. This past year, Vanic could be found playing major festivals including Coachella, Firefly, EZoo and Fashion Meeting Music Festival.